086-1665869 or 0504-43124 (office hours). Email: holycrossabbeytours@gmail.com. 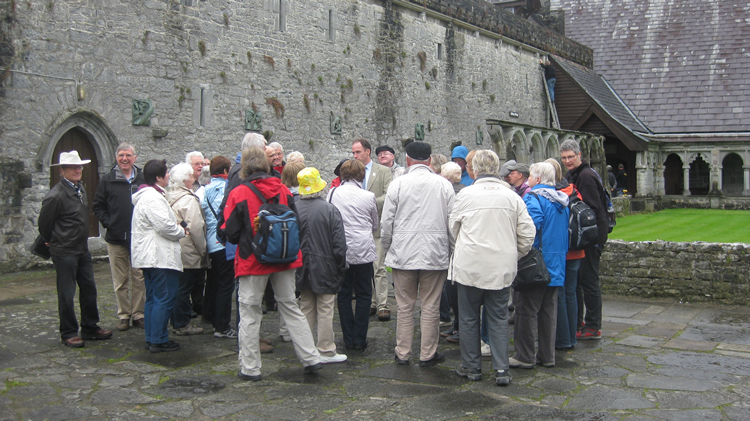 Guided tours of the Abbey are also available every Wednesday and Sunday at 2.30pm, March to September inclusive. To book a tour outside of these times, please contact us. Because the Abbey is our parish church tour times will be rescheduled to adapt to any religious events taking place in the Abbey. We accept donations of €5 (2019 rate). • Marvel at the beauty of the Sedilia and the Waking Bier. They are the highpoint of Cistercian art in stone in Ireland.